The ultimate run time upgrade for your E-Maxx. 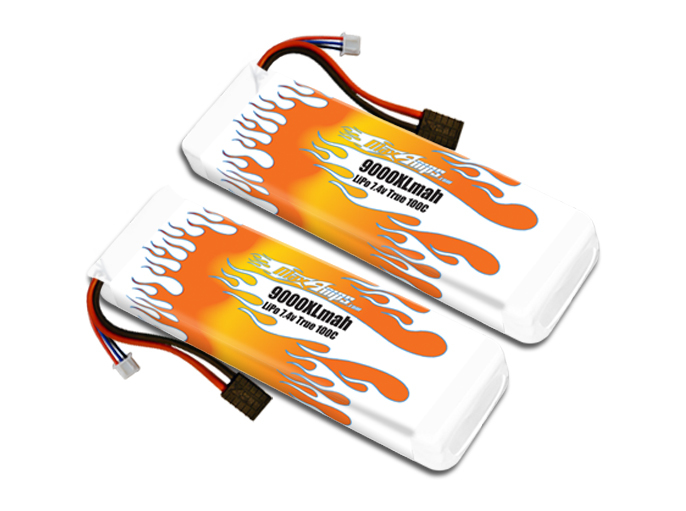 This is for 1 pair of our new 9000XL 7.4V lipo packs. One left side and one right side custom wired to fit the E-Maxx battery compartment. There is no better pack than this if you're wanting to replace your 7-cell flat NIMH pack or upgrade your lower capacity lipo pack. This pack takes up the WHOLE tray, not just part of it. Long run times while holding incredible voltage under load. These packs will make your Traxxas E-Maxx scream!